On Sunday, tens of thousands of demonstrators took to the streets of Hong Kong to protest the imprisonment of 16 jailed democracy and land rights activists. Joshua Wong, Nathan Law and Alex Chow, leaders of the 2014 Umbrella Movement, were sentenced to six to eight months in jail last Thursday for their role in a protest that sparked a months-long demonstration for democratic reform. 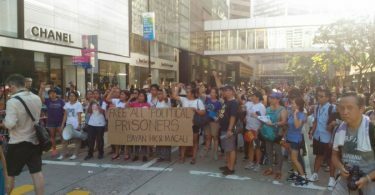 Last Tuesday, 13 activists, including League of Social Democrats Vice-chairman Raphael Wong, Land Justice League convener Willis Ho and activist Billy Chiu, were jailed over their participation in a protest outside the Legislative Council against development in the northeast New Territories. Mr Yeung. The slogan on the sign: “The goal post keeps moving; everyone knows how to be a bureaucrat. 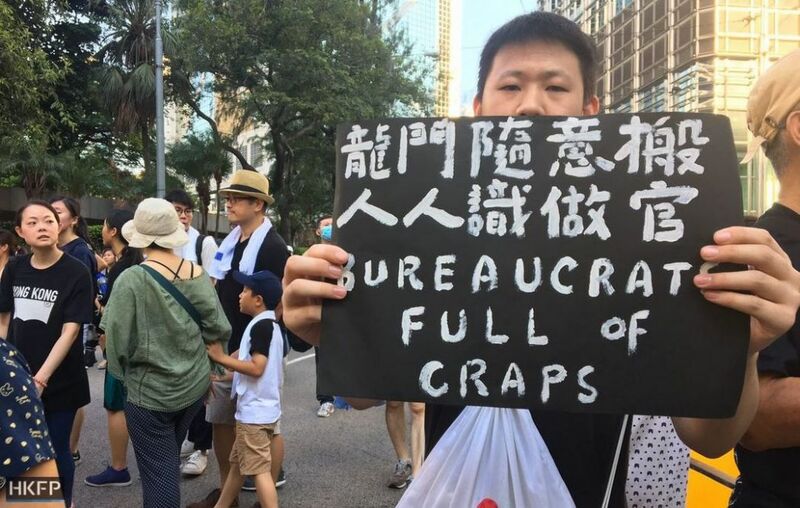 Bureaucrats full of craps.” Photo: Jun Pang/HKFP. Mr. Tong. 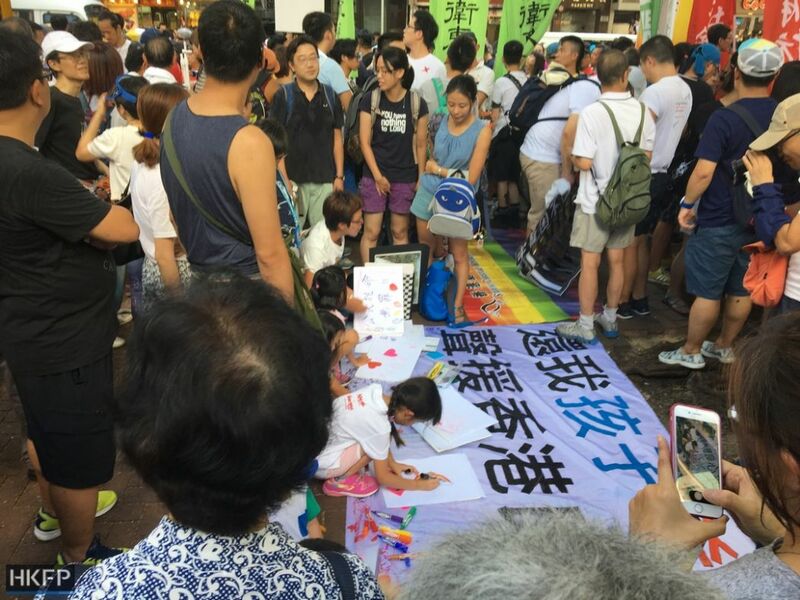 The slogan on the sign: “Political climate: hot.” Photo: Jun Pang/HKFP. ?HKFP_LIVE: Thousands are gathered in protest against the jailing of 16 pro-democracy figures this week. 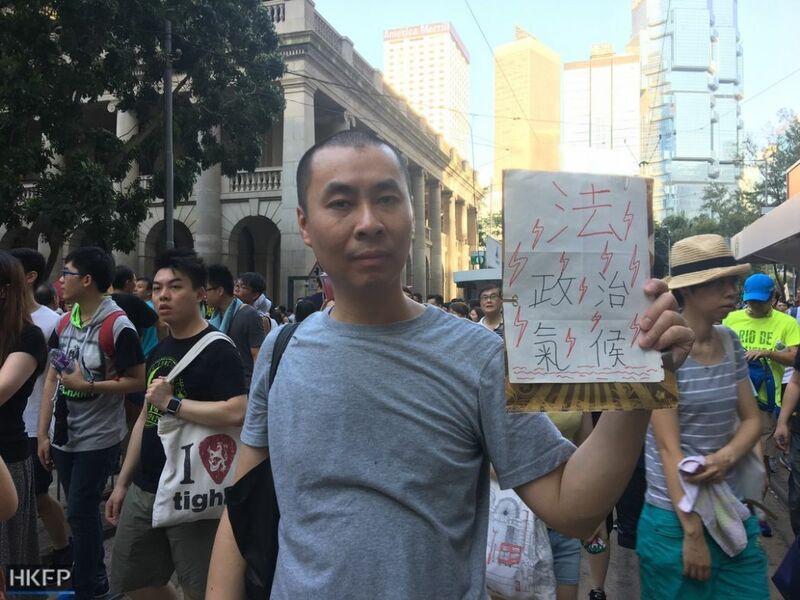 Demonstrators are calling for the release of 'political prisoners' as they arrive in Admiralty. Ms. Chow. 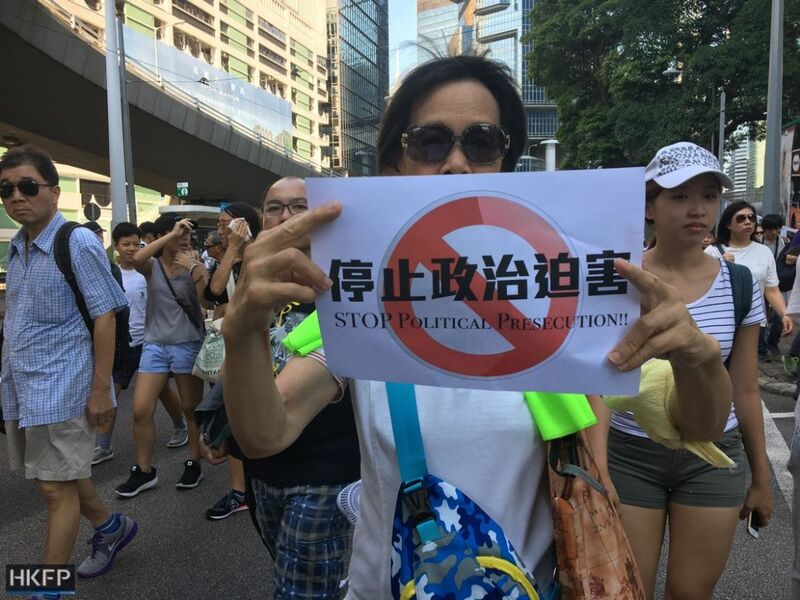 The slogan on the sign: “Stop political persecution.” Photo: Jun Pang/HKFP. 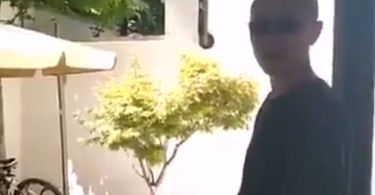 Mr. Wong. 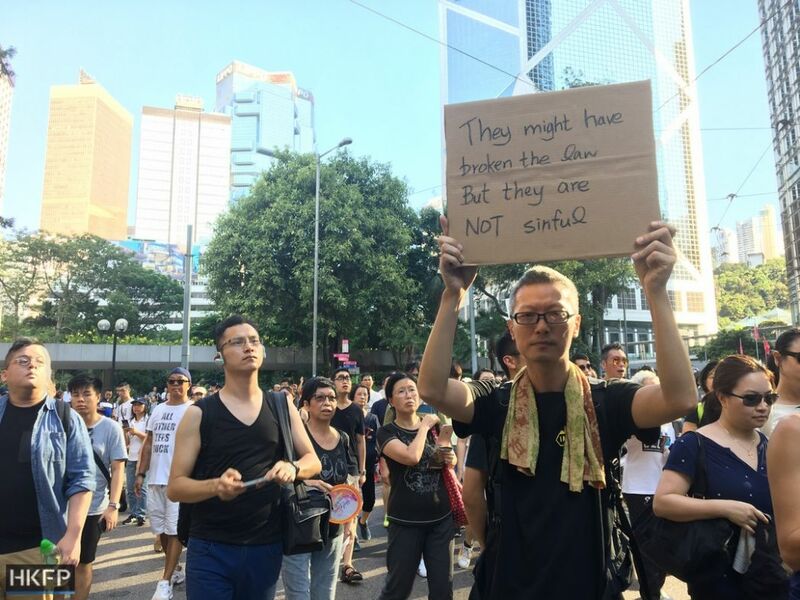 Slogan on the sign: “They might have broken the law but they are not sinful.” Photo: Jun Pang/HKFP. Justice Dep’t may give more detail on decision not to prosecute ex-Hong Kong leader CY Leung, says Acting Chief Exec.